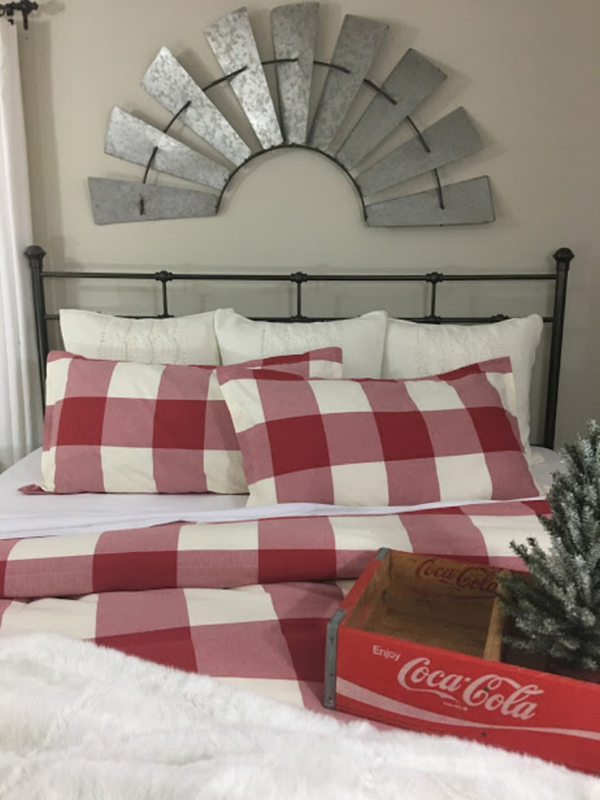 We partnered with Randi of Rustic Meadows Home for some Christmas décor inspiration that can last beyond the holidays. 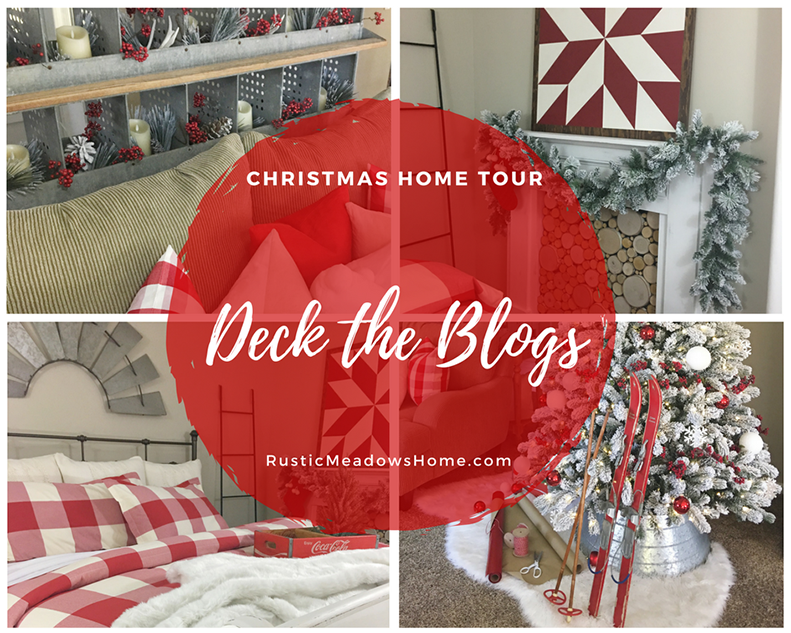 Deck the blogs with boughs of holly, Fa la la la la la la la! ‘Tis the season to be jolly! I’ve pulled our Christmas decor together to bring you lots of ideas! So whether you’re the type to decorate early, or you prefer to wait until the day of Christmas, I hope you’ll all find some inspiration here. This girl loves to decorate, and I can’t ever wait (thankfully I don’t have a husband who makes me)! This year I was lucky enough to get a NEW Christmas tree! It is the 7.5 ft King Flock tree from King of Christmas. It is on sale right now and it can be purchased here. 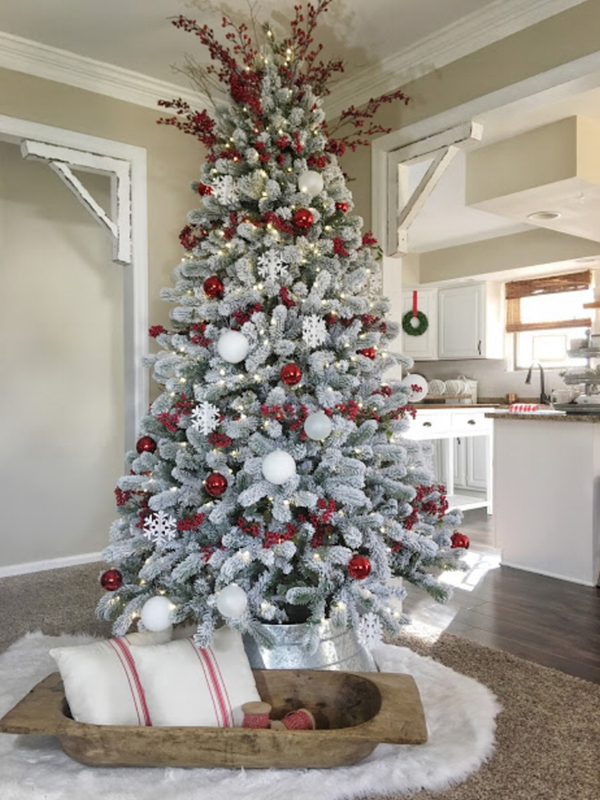 They make the highest quality artificial trees! Ours has 800 bright white LED lights, and if you know my husband and his profession, he can’t go an hour without talking about LED lights. So this tree is our dream tree! This tree is also unbelievably full, required minimal fluffing, and there was minimal shedding from the branches. My husband made the comment that it didn’t need any decorations when we got it assembled. It is beautiful on its own! I went to my favorite store in Illinois for tree decorations, Jeffrey Alans. If you don’t live in Illinois, I’m sorry. This place is Christmas Heaven! I purchased the holly berry garland on my tree and all of my ornaments there – red glass ball ornaments, white snowball ornaments, and $70 worth of 3-D snowflake ornaments…big oops! Next time I will check prices, but aren’t they the cutest! Around the base of our Christmas tree I used a galvanized metal tree collar, which are all the rage right now. It is sitting on a white fur throw to give the appearance of snow. I love all of the different textures and how they work together. This might be my favourite room right now. 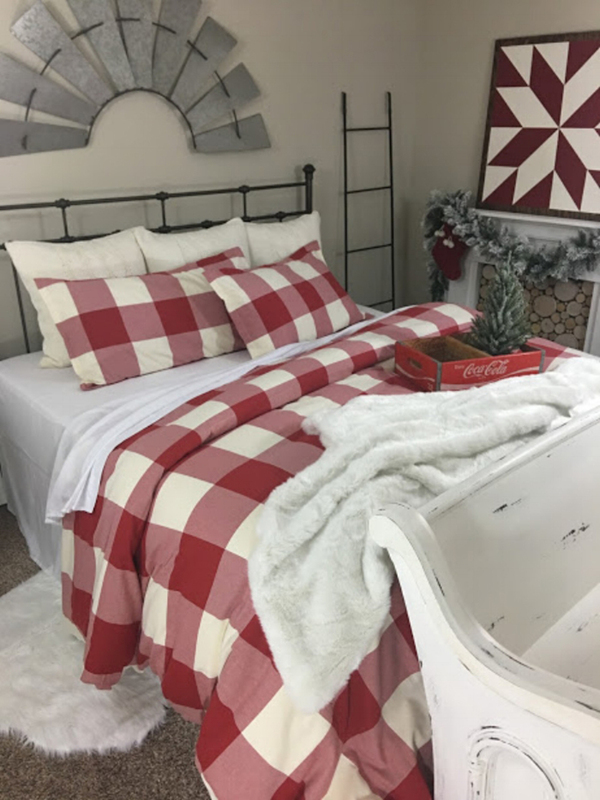 The red and white buffalo check duvet cover and shams just make it. It kind of gives it that classic red and white country Christmas feel. The bedding is new this year and I have spent the last week trying to convince my husband that it’s the same bedding I got last year. Bedding and throw pillows just seem to jump right into my shopping cart. My favourite sheets ever have to be this six piece Essential Sheet Set from Linens and Hutch. They’re very affordable and if you use my code rustic30 you can save an extra 30% on them this Christmas. Click here to treat yourself! I also love snuggling up with this Dartmoor White Faux Fur Throw from Laura Ashley. Both the sheets and the throw are so soft that I wish you could feel them through the Internet! So click here to check out my throw too! Click here for the Matching Dartmoor White Faux Fur Cushion! When I’m lying in bed at night, I feel a great sense of pride in the updates we’ve continued to make since purchasing our home from a flipper a few years ago. And I think about all the memories we have made here! Now I’m ready to nestle in my bed while visions of sugar plums dance in my head! Well sweet friends, that concludes my Christmas home tour. If you read this far, high five! I hope that you found some ideas to incorporate into your own decor. If you want to comment, I would absolutely LOVE to hear what your favourite part of my home tour was! Happy Holidays from my family to yours! Wishing you love and laughter through the New Year! 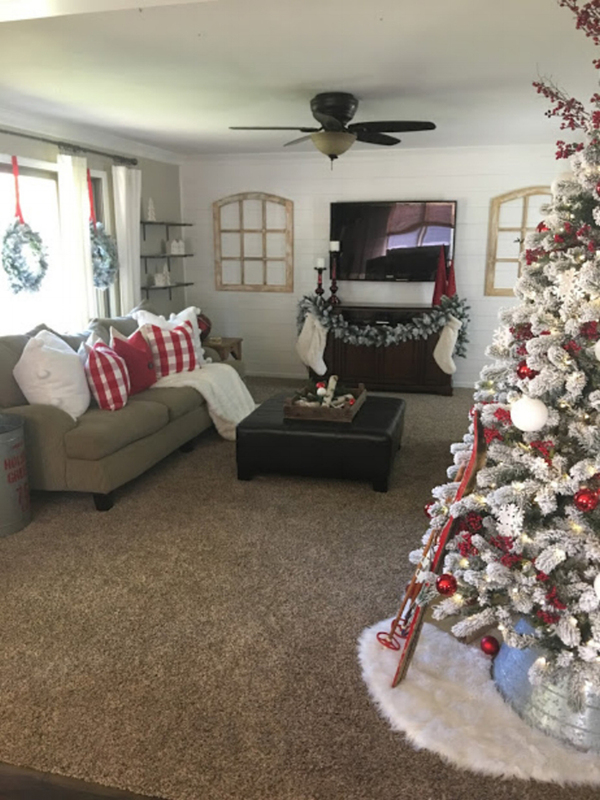 This entry was posted in At Home, Favourite Posts and tagged Bedding, blankets, christmas, christmas decor, christmas decorating, cushions, decorating for the holidays, faux fur, holiday decorating, holiday decorations, holidays, laura ashley, laura ashley usa, rustic meadows home, throws. Bookmark the permalink.